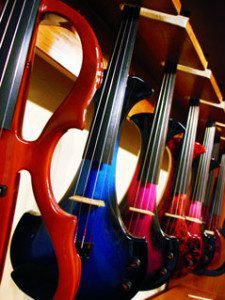 Electric violins are becoming more and more popular. Typically, they are used by performers of jazz, pop, country, new age, etc. 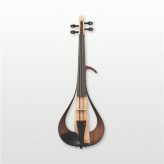 They are stringed instruments that are basically a cross between an electric guitar and an acoustic violin. An acoustic violin can be made into an electric violin by adding a pick-up that runs to an amp. 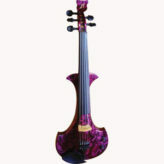 Straight electric violins are available in many designs and colors. They can be made from a variety of materials and include the pick-up built into the instrument. Much like an electric guitar, they can also have a variety of effects such as reverb, delay, or distortion. 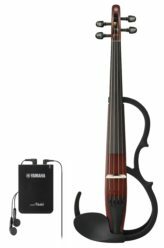 Finding the right electric violin to suit your needs can be a challenge. Violin Outlet carries pick-ups from Fishman, LR Baggs, and Realist. 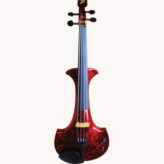 Our electric violins come from suppliers such as Yamaha, Bridge, Mark Wood, and NS Designs. 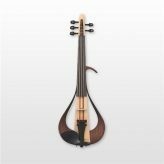 Below are a few examples of our electric violins. Click on the items for larger images and a full description. Please contact us for current pricing and availability.